OK, enough talk about values, etc. 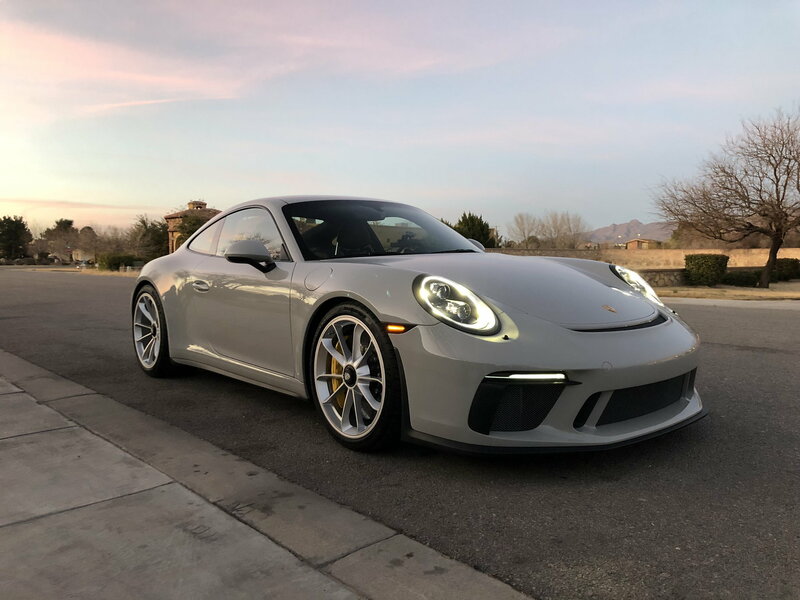 Finally picked up the GT3 Touring. After 2 years on a waiting list, frustratingly watching the flippers, I finally got mine. 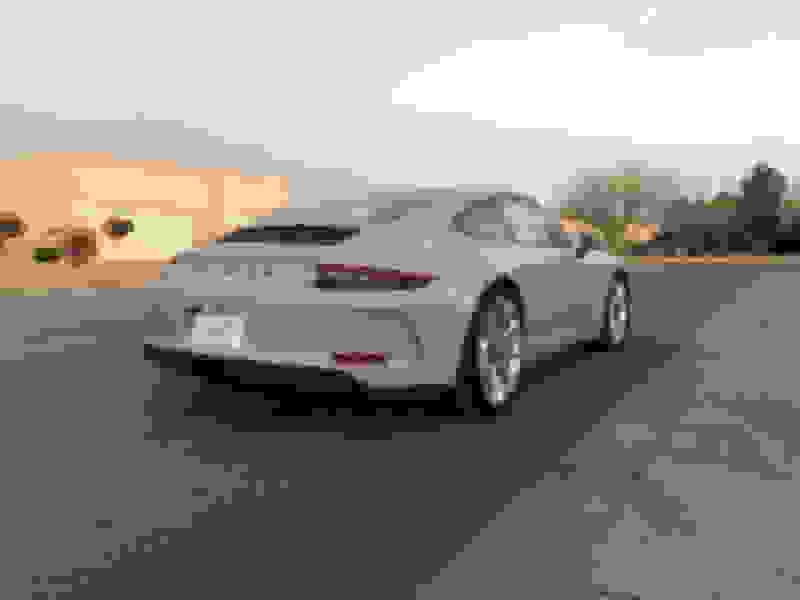 Tried selling the Turbo S but with no bites, I decided to trade it in since my incoming G63 will be taking over the semi-daily-driver duties. 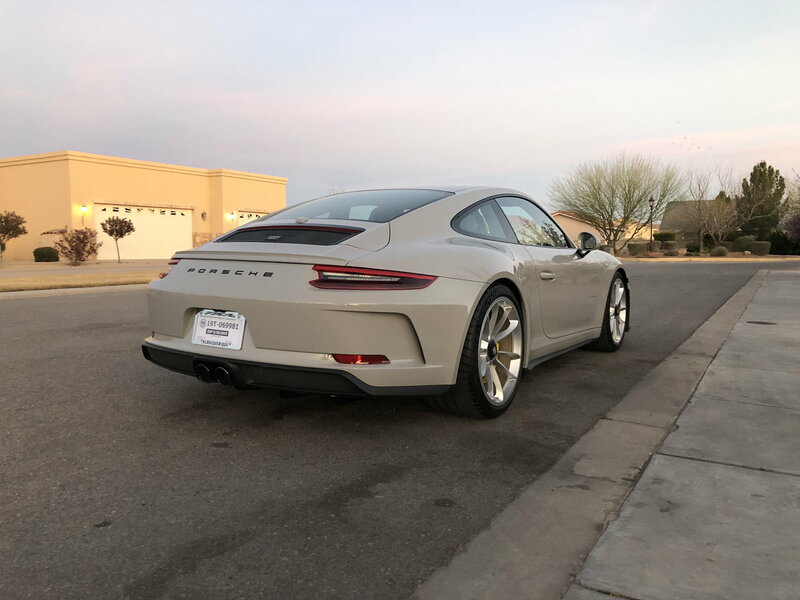 Agreed price had a 4-figure ADM and I traded in my Turbo S, so ADM kind of lost in the mix with the trade-in deal (that's how I rationalized it, lol). I really liked Chalk when it first came out so I wasn't too upset when my build didn't make it into the PTS batch. I'm blown away at the actual depth and different shades it presents in person. Options included LWB's and PCCB. I already had LWB's in our Boxster Spyder. I did a 4-hour drive from West Hollywood to San Diego in HEAVY traffic as well as drive it 10 hours from San Diego to El Paso with no issues so figured it was ok to get them on this build. They give it a sense of occasion every time I step in it. The shifter is a great piece. Without over-analyzing, I can say it's awesome. Like like it much more than the factory short shifter in 981 Boxster Spyder and find it even better feeling than the Numeric Shifter I have in my Ruf RT12. The placement is perfect too. Funny enough that as many Porsches as I've owned over the years, almost all were used or CPO. This is our first brand new one!! I'm stoked and we plan to keep this one A LONG time, hopefully forever. Looks great! I spoke with the GM at the new dealership in EP a few weeks ago. Nice guy. Hopefully you can start getting your P-Cars closer to home now! awesome ride in a classic color! Love it! Looks great! Congrats! It is a stunning car - great order! Thanks, folks. Color is a very personal choice, but I think the Chalk exemplifies the era and fits the car perfectly. So far, the break in period is tough but I'm following the Andreas Preuninger recommendation to a T.
congrats! looks great in chalk with the silver wheels. Gorgeous car! Forever sounds like a perfect amount of time to keep the car. Enjoy! Congratulations! A gem. Have fun driving it.